Popularly referred as Walker's Paradise, Pachmarhi Hill Station is one of the popular hill stations in India. Located amidst lush greenery in Madhya Pradesh within the Hoshangabad District, this hill station is a fine example of beauty and serenity. The beauty quotient of Pachmarhi Hill Stations lies in the dense green meadows and the scenic waterfalls passing through them. This place is located on the Satpura Ranges of Madhya Pradesh at the height of 1000 meters. An ideal place to unfold the natural beauty, it is very popular among tourists. It also became popular due to the presence of Pachmarhi Cantonment within. Pachmarhi was first noticed and then discovered by James Forsyth. James Forsyth was the Captain of Bengal Lancers in the year 1857. 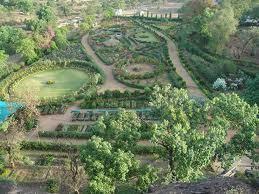 As like many of the Indian Hill Stations, Pachmarhi too was once a British Cantonment. Hence one can still find many monuments and churches reminding British kind of architecture all around Pachmarhi Hill Station. Being around 210 km from Bhopal, Pachmarhi is usually crowded during weekends and other holidays with local tourists. Additionally Pachmarhi also offers various Adventure Sport Options such as Trekking and Mountaineering to the adventure sports lovers which explain why people visit Pachmarhi so often. Other than that, there are many sightseeing options which add to the beauty. Though this place was discovered by a British National, yet it wasn't gone unrecognized before. The Pachmarhi Hill Station finds its name mentioned in the Puranas. If the legendary tales are to be believed then, during the period of exile, the Pandavas from Mahabharata had taken shelter here in Pachmarhi within the hills of Satpura ranges. As per the legendary tales, that is how Pachmarhi got its name. There are five caves, also known as the Pandav Caves which were used by the Pandavas for shelter, which in a long run, went to give the name to the quaint Hill Station, i.e. Pachmarhi – Five Caves. This place is considered to be an archaeological treasure due to the presence of these caves in the Mahadeo Hills from 500 – 800 AD. The nearest airport is Bhopal, which is around 210 kms away. One can find private taxis or state transport buses from Bhopal to Pachmarhi Hill Station, plying regularly. The nearest rail road is Pipariya, around 47 km away. Pipariya falls on the Jabalpur Rail Line and is well connected with trains from Mumbai, Allahababad and Jabalpur. One can find taxis and buses from Pipariya to this place easily. By road, this tourist destination is very well connected with all the major cities including Nagpur, Bhopal and Jabalpur via Pipariya. Pachmarhi Hill Station is best when visited in the month of April up to July. 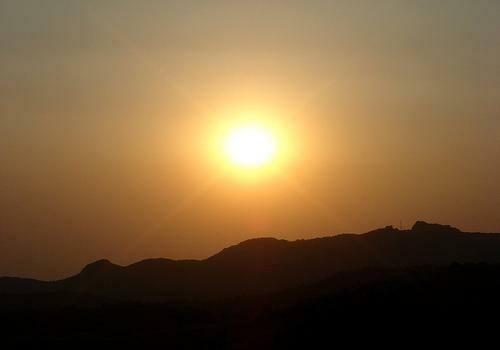 The climate in Pachmarhi can be pleasant throughout out the year except during monsoons. Additionally Pachmarhi is also most visited during the period of Mahashivratri, which is celebrated as a big festival due to the presence of Mahadeo Temple. One can pay a visit to the Pachmarhi Caves/ Pandav Caves which give Pachmarhi Hill Station its name. The Mahadeo Temple here is also one of the most visited places and is located around 10 kms to the south of this place. There are many churches and monuments built during the British rule which are worth watching, for example the Catholic Church. But the best point which is much popular among the tourist is the Indira Priyadarshini Point. Indira Priyadarshini Point offers a breathtaking view of this beautiful ill station. One can also visit the tallest point of Satpura Range, the Dhoopgarh. Dhoopgarh offers challenging yet excellent trekking options. The trek is worth opting, as one can view amazing sunset from this point. Then one more option is the local museum, which earlier used to be Captain Forsyth's Residence. This place has been transformed into a museum and is worth visiting. Hotel Pandav in Pachmarhi is known for its quality accommodation and luxurious stay. For more details visit Hotel Pandav in Pachmarhi. The Misty Meadows Resort is a 3-Star Resort located in Pachmarhi. For more details visit The Misty Meadows Resortin Pachmarhi. Other than the Majestic Gwalior Fort, there are many tourists attractions that can be visited which are located in and around the city. Here's a list of few prime attractions which are worth paying a visit. Once in Pench National park, one can always go and visit the tourist attractions nearby the Park. Tourists get to visit many places nearby the Park, which are must visit spots. Here's a list of few important places one can visit when in this national park. Is the accommodation on the hill station expensive? I'm planning to visit along with many relatives and we are looking for budget hotels. If the hotels in the hill station are very expensive, I want to stay somewhere outskirts to get better pricing. Can you please suggest some budget hotels? Wonderful article about the mesmerizing scenic beauty of Pachmarhi hill station. If you want to have a glimpse of dhoopgarh's awesome sunset, please watch this video made by me.